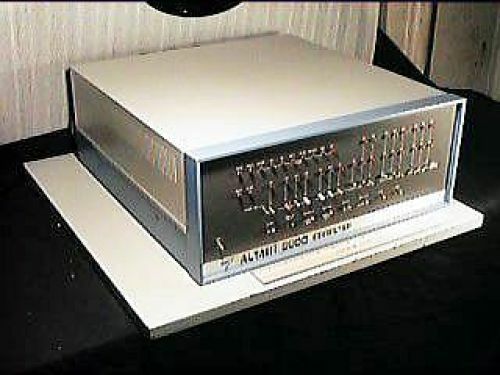 7 x 17 x 17 1/2 in. Machine has a non-standard fan in the back of the machine. 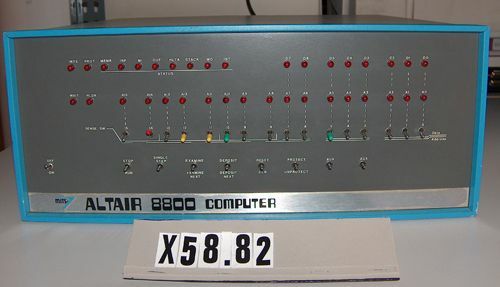 There is a silver "MITS ALTAIR 8800 COMPUTER" label on the bottom of the face plate.